The little bunnies have a very sweet house, which amazingly is mainly pop-up, and has loads of furniture for the different rooms. Very cleverly the entire cottage folds away for storage, something to please the parents! 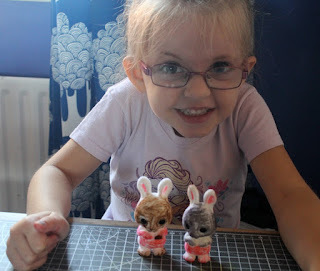 Here is a young lady who reviewed the Fuzzikins Cottontail cottage over at Mummy of 2 +1 Blog. I think you can tell just how pleased she is with her fabulous artwork - and rightly so! This kit is suitable for children aged 4+, and is very easy to complete using the felt tip pens supplied, so even all novice artists can be proud of their work. 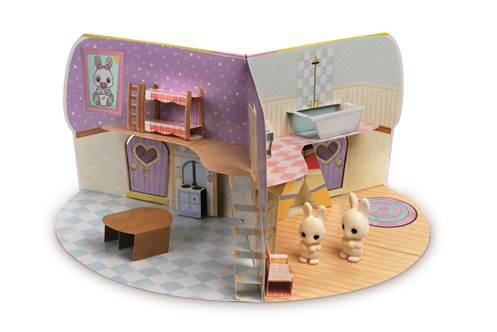 The Fuzzikins Cottontail Cottage is available to buy now rrp £19.99. 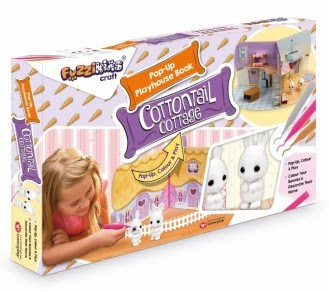 Interplay and Craft Box have offered one of my readers a Fuzzikins Craft Cottontail Cottage as a prize in my Christmas Present Giveaways. 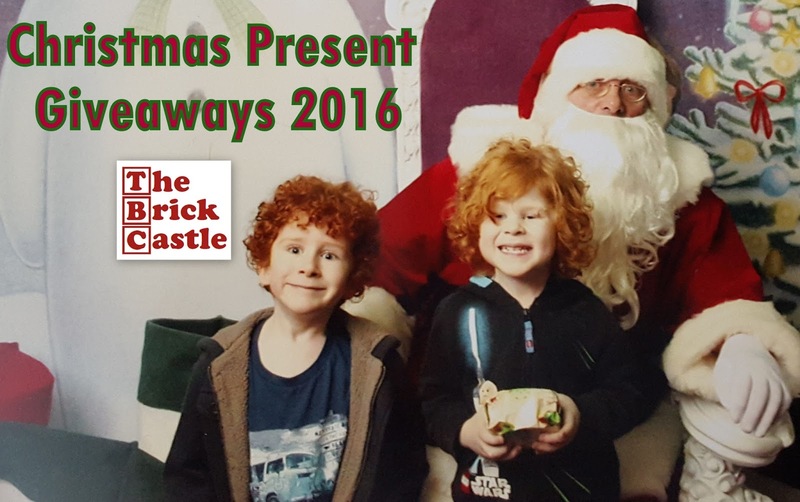 Entry to the giveaway is by Gleam form below, and is open to UK entrants only. Full terms and conditions appear at the bottom of the Gleam form. The giveaway will end at midnight Sunday December 4th. My daughter says she would love to make little doggies for the house! It is so sweet - thank you for the review! We'd like to make Peter Rabbit and family! A bunny would be adorable. rabbits i think .... since we got Snowball our dwarf lop, my daughter is obsessed !! A sweet little puppy with big eyes! I'd say my daughter would create a cat family, or something obscure like slugs! bunnies bunnies bunnies we love bunnies! Bunnies all the way for my daughter. No question! It's got to be a bunny. my grandaughter would make kittens! I think my children would choose cats. We have a dog and I am allergic to cats but they are cat mad at the moment. Cute frogs - weird child! I would love to make a cat and a guinea pig! Definitely the bunnies, they are very cute! I would love to make some monkeys! and cats/kittens. I would like to make cats. Our little girl loves cats. My little granddaughter would love to make dogs and so would I! We are a cat family so it would be kittens for us. My daughter adores cats so that would be our choice. 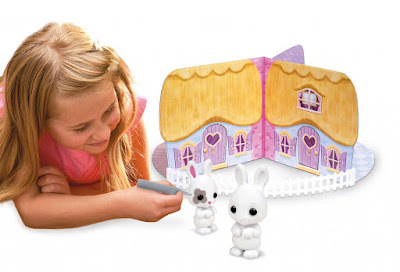 My daughter loves rabbits so that would be it. My daughter loves Rabbits, but she would also love to make a Guinea Pig as she has a pet one!